I apologize for not responding to comments in a timely manner! So, I am an idiot apparently. I got a new phone about 6 weeks ago. And I’ve been noticing a lack of notifications from the site despite a lot of traffic. Well, as it turned out, I did have WordPress installed on my new phone but my login information wasn’t transferred (which is odd because all my other login information for other apps did move over). So at any rate, if I am just now getting back with you, I sincerely apologize. I will do a better job in the future of keeping up with the notifications. Thanks for reading the site. Suggestions always welcome. 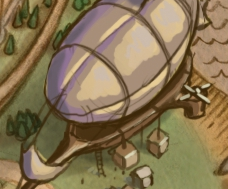 The flying merchant has returned to Gnawnia! Ronza’s Traveling Shoppe Open for a Limited Time! Pay special attention to which of Ronza’s wares are Limited Edition. Anything marked as Limited Edition is in short supply and will not ever return to the Kingdom! Travel to Ronza’s Traveling Shoppe! Focused on bright, shining, overwhelming power, the Chrome Onyx Mallet carries a massive 5,000 Power and 30% Power Bonus! In case pure smashing power is not enough, the Chrome Mallet also has +20 Luck. Smash, crush, and pulverize mice in chromium style! With 3,000 Power, 15% Power Bonus, 10% Attraction Bonus and +10 Luck, this totem is not only a formadable Shadow trap, but its tribal origin packs a particularly strong punch against the mice of The Dreaded Horde! When used inside the Jungle of Dread, this trap activates a massive power bonus! The Jungle of Dread becomes a little less dreadful with this trap! Ronza crafted another breakthrough in trap design — a base capable of dramatically boosting a Physical setup! Although the Physical Brace already has fairly impressive stats, it really shines when paired with any Physical weapon, adding a massive 25% Power Bonus! Push your high-power Physical traps to new heights! Not to restrict herself to only making traps, Ronza designed four stylish Trap Skins. Customize the look of your Ancient Box Trap, Steam Laser Mk. III, Sandtail Sentinel, or Reaper’s Perch Trap! Have way, way too many Wealth Charms? Ronza’s invented a means of compressing four Wealth Charms into a more powerful Super Wealth Charm! Exchange 4 Wealth Charms for a Super Wealth Charm capable of a greater gold-earning boost and higher maximum yield! Arming this charm with a streak of 7 or higher in the Fiery Warpath will lure the Gargantuamouse towards your trap! Gather Oxygen in the Sunken City more quickly! You’ll receive an extra Oxygen Canister when a captured mouse drops one! An upgraded version of the Rift Vacuum Charm, this charm can generate an additional Calcified Rift Mist when capturing a mouse. Massive Power Bonus with the Claw Shot Base and either of the S.L.A.C. traps in Claw Shot City! Turns into a random charm upon use. Wide array of possible charms, from Power and Luck to Ultimate and Shattering! Packs a bunch against Digby Dirt Dwellers! Equip to polish it into a powerful Chrome Charm for bonus Luck! Wards off Cursed and Corrupt Mice! Instantly starts a Grubling Stampede! Massive power bonus when armed alongside Fusion Fondue! Show the M400 who’s boss! Upgrade your Sphynx Wrath into a more powerful and lucky chrome version! Like other upgrade kits, this chrome kit can be exchanged on the Marketplace. Due to a limited supply, Ronza has limited each hunter to three of these kits. Celebrate Ronza with this unique journal theme purchased at Ronza’s Traveling Shop! These spiked panels of metal are used to create the Spiked Anchor Charm, a more powerful version of the Empowered Anchor Charm. This item is used to create the Golden Anchor Charm. These charms increase Sand Dollar loot drops while diving at the Sunken City. Create Super Salt Charms, which counts for double the salt power against the King Grub in the Sand Crypts! Combine with Soapy Suds and a Simple Orb to create a SUPER Soap Charm for Toxic Spills! Used to craft the Smart Water Jet Charm. These charms automatically disarm after being consumed for more controlled water navigation. Crafting your own charms also skips the Sand Dollar cost that the Sunken City Charm Shoppekeeper charges! Ronza has once again stocked her General Store with a variety of Double Dewdrop Powders to create powerful loot-doubling charms for use in the Living Garden! I have updated the Fungal Caverns part of the guide with information on the first two tiers. I plan on adding tiers 3 through 5 within the next few days. Happy hunting, and please don’t be shy to reach out to me! Another new area is on the horizon! May 12, 2015 will be the opening of the newest Duke-level hunting area, the Fungal Caverns! 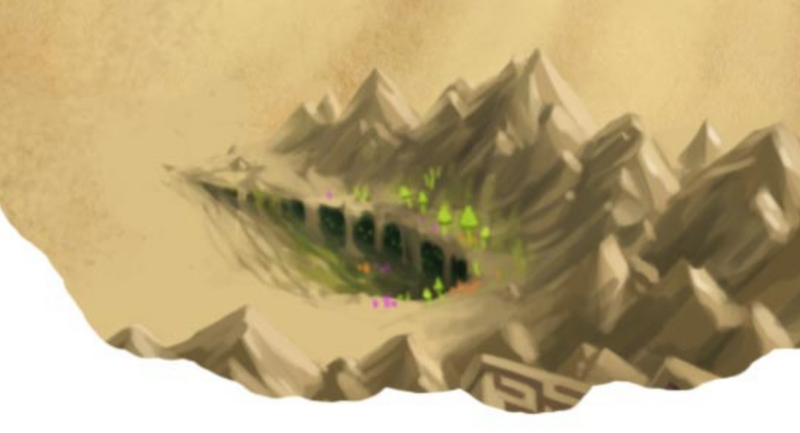 As I venture into this location later today and start figuring out what’s going on, I’ll add my findings to the new Fungal Caverns page here on the site. Keep it here for all my information that I discover! Here are Larry’s updates about what’s happening! Larry’s Cavern Report #1: The entrance of the cavern is the site of an underground aquifer. The arid desert air soaks up the water, causing the walls to sweat with humidity. Within this damp environment, fungus and other plant life seem to flourish, although they’re quickly snatched up by the somewhat amphibious mice here. Larry’s Cavern Report #2: Moving further into the cavern, the lack of light has prevented the growth of much plant life. However, these narrow passages are rich with minerals! Some traces of water are present, however, the cooler, drier air has made the mice much less dependent on water. Larry’s Cavern Report #3: I’ve moved past the narrow, mineral-rich passageways and the cavern has opened up once again. Despite the dim lighting, I’ve spotted sparkling gemstones! The great riches here would make for quite the welcoming environment, if it were not for the fact that the mice here have become increasingly aggressive! Larry’s Cavern Report #4: It’s clear that these long forgotten and ancient mice are not welcoming my presence! After pressing further into the cavern I’ve found even greater treasures! Diamonds sparkle in the walls, illuminated by light let in by tiny cracks in the ceiling. Some crumbling walls have revealed a passage way with an eerie glow ahead. Larry’s Cavern Report #5: This will be my final report. The usual dull sounds that echo throughout the cavern have now come to a dead silence. I can’t shake the feeling I’m being watched by something… I must return to Gnawnia to share my findings with the King before the ancient mice here are my undoing.